Spread More Love: Visa on the way! 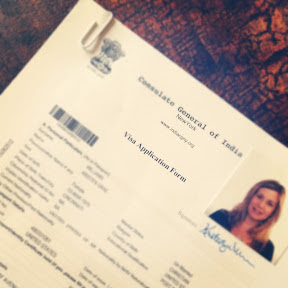 After a frustrating morning figuring out the Indian visa process, I finally got it completed and on its' way!! I still keep pinching myself thinking that at the end of September early October I will finally be meeting sweet Munni for the first time!! I'm about to go to the mall and get my shopping on for her!!! I've been holding back for so long!!! Have fun shopping!!!! :) So excited for you! I just caught up on your last posts -- WOW!! Your daughter will love hearing the story of the burning pot someday. :o) She is a doll -- and I love the missing tooth picture! What a sweet face!! So thrilled for your good news . . . So excited! Seems like things are moving right along, which is wonderful!! Shop away my friend, shop away!! this is really wonderful how the things are moving. I am excited for you and hope all is going smooth and fast. I pray for you and your beautiful daughter. Munni is so cute. I am looking forward to hear from your family. What a beautiful girl! Oh my! I was so confused by the Indian Visa...glad you got it figured out! YAY!!!!!!! I'm so excited for you! And a bit scared, since we haven't reached the point of doing the visa yet...and already other forms have the confused and running all over for notaries...I'll have to ask you for help when I get stuck understanding something when our turn comes for the visas!